Being a parent to an infant can be overwhelming, especially when it comes to knowing what you absolutely have to have on hand to deal with the daily emergencies that inevitably arise. 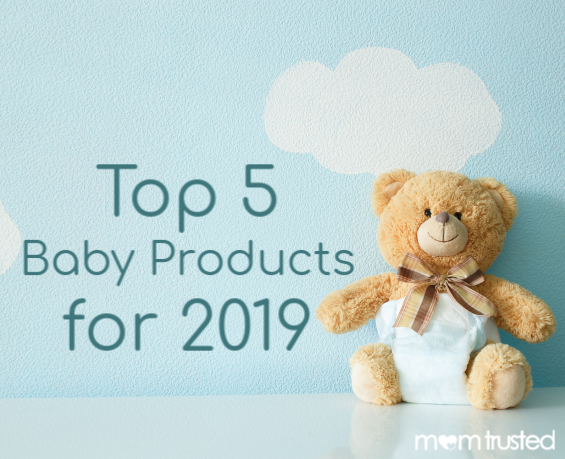 This handy list of must-have baby products will help you gather all of the essentials you need to embrace life as the proud parent of a new baby. This baby carrier is a must-have for any parent on the go. It safely cradles your little one against your chest or back so that you have your hands free to take care of daily activities. It is also super easy to insert and remove your little bundle into the carrier so that you do not disturb sacred nap time. This device is going to save you plenty of stress while you sneak out of your sleeping baby’s room. The smart technology uses voice recognition so that you can effortlessly adjust the light, camera angle, temperature or fan in your baby’s room without missing a beat. Even if you are not an avid runner, this stroller is exactly what you need. You will notice that the ride is smooth and bumps are minimized so that your sleepy baby stays snoozing throughout all your daily errands. This stroller is easy to navigate and handle as you load up your car. It weighs only 14 pounds and requires only one fold to be able to get it in your vehicle and be on your way. This stroller is a great transition item as your baby ages and allows for full reclining to keep your little one as comfortable as possible on longer walks. Navigate the world of changing your baby’s diapers in public places with ease thanks to the Beanko Mobile Changing Station. Your baby will stay flat on the changing bed that folds up to make this mobile changing station more portable than ever before. It is best used for changing your baby in the car. You can still use it on the go as your baby grows up because it is the perfect display place for an iPad to watch movies in the car. Hyland’s makes a diaper ointment that can be used to prevent incredibly painful diaper rash and keep your baby healthy and moving throughout your busy day. This ointment provides immediate soothing relief to babies in their most sensitive areas. It is what moms and dads everywhere reach for when they want to keep their babies happy and smiling throughout multiple diaper changes each day. The Hyland’s formula contains natural active ingredients, which is why it is such a hit with moms and dads who want the safest and least intrusive products for their little ones. This company has been thriving since it was founded by German pharmacist George Hyland in 1903. His mission to provide the most natural remedies for all sorts of ailments has carried through to this day with the dozens of natural products that Hyland’s manufactures. Customers all over the world trust Hyland’s to provide effective and safe relief from a range of illnesses and injuries for their families.